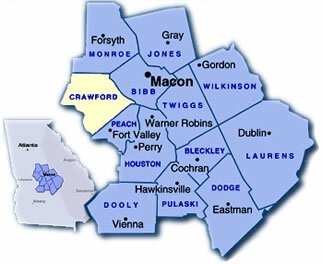 Crawford County was incorporated in 1822 and has a total area of 325.1 square miles and a population of 12,495. There are 19 archaeological sites in the county including the Indian Agency Reserve and the Creek habitation area along the Flint River. There are also several buildings listed on the National Register of Historic Places including the County Courthouse built in 1831 and the County Jail built in 1882.